Screening from Friday August 21st. This is the new film by Oliver Hirschbiegel. Like his earlier Downfall (2004) this deals with the Third Reich. However, rather than the drama round the leading figures of German fascism and their violent demise this film deals with ordinary Germans, including an oppositional figure. It combines a political thriller [note the title] with the Heimat genre – films that deal with, not quite homeland but, a sense of belonging to a place and its people. The film opens on the eve of World War II: it is November 1939 and the eve of an important Nazi celebration in Munich. Then a series of flashbacks fill in the characters and background to the events of that night. The film is well produced though not as powerfully destructive as Downfall. 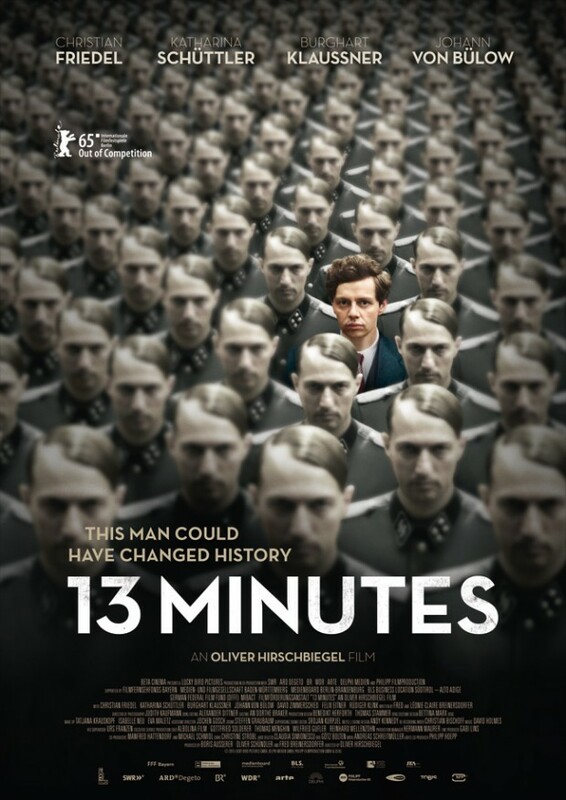 There is a strong cast, with Christian Friedel excellent as Georg Elser, the protagonist increasingly horrified by Nazi rule. Katherine Schüttler is Elsa the girl he falls for. And Burghart Klaußner is also strong as the investigator and interrogator Arthur Nebe. The sense of the village Heimat is strongly drawn. The actions of the police and the SS are [as you might expect] brutal and there are several disturbing sequences in the film. Georg and his developing responses as Nazi rule is cemented occupy the centre of the film. The story is based on actual characters and events and appears to have followed those fairly closely. By focusing on character it handles the issue that the outcome is known. It provides an absorbing two hours and a distinctive take on the operation of the fascist state and experiences within it. ← Man With a Movie Camera/Chelovek S Kinoapparatom, USSR 1919.